Don’t Worry Before a Writers Conference, PLAN! Does the thought of attending a writers conference make you nervous? Instead of worrying in advance, plan in advance by reading past blog posts with valuable advice on preparing for a writers conference. Nervous about attending a writers conference? Prepare, don’t worry. “Plug in Your Power Tool — Prayer” was written by Lydia E. Harris to provide instruction in gathering a prayer support team for your writing. The Northwest Christian Writers Association wrote a book just to relieve conference jitters and help conference attendees know exactly what to do before, during, and after a conference. Purchase on Amazon here. 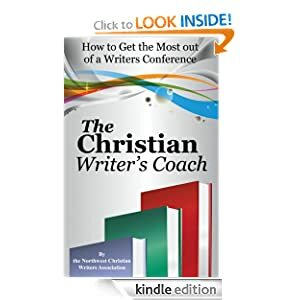 The Christian Writer’s Coach book details what to do before, during, and after a writers conference. And while you’re planning and preparing, don’t forget to register! They ask about our story—editor, agent, fellow writer, the guy slicing the beef. We freeze. We panic, and what could have been a fun and meaningful conversation, and possibly begun a friendship, turns to disaster. If someone asks what we love about our spouse, kids, or pet, we don’t panic, don’t get tongue-tied or fearful. Confidence oozes as we tell strangers and friends alike about little Lucy’s first steps carrying Tolkien’s The Hobbit. We confess that our face might be purple because we spent the last two hours helping our son write an essay. People don’t ask about our work to measure or judge us. Okay, some do, but they are the exception. Most ask because of burning curiosity. They want to know what fills us with the passion to neglect other things in our lives and write when we know the pitiful publication odds… let alone the chances of writing a NY Times best seller. What is our story about, and why is it so important? If we can articulate the answer in five words, thirty-two words, or 100 words of eye-sparking passion, it’s a powerful jump-start to the most flagging confidence. If we can’t, we’re not ready for a pitch—plain and simple. We neglect other things in our lives and passionately write despite pitiful publication odds. Unfortunately, passion, even articulated well, only goes so far. If asked about Bible verses pertaining to the deity of Christ and we’re not prepared, Bible fumbling and umming will ensue. We have to have pages marked, words highlighted. In the same way, when someone asks about our kids, pictures go a long way toward reminding us why we love them despite struggles. Whether telling our story to the book table lady, or pitching to an editor or agent, a picture of our “baby” can help break the ice. A One Sheet, writing sample, and story proposal make a great snapshot. A One Sheet is an introduction to us and our story using artistry and character representative of our book. It’s a business card and photo rolled into one page. A transparent, gem-colored, $2.99 Rite Aid plastic folder makes a great showcase and will also hold writing samples and our proposal. Some have a place for a business card, as well. In addition to making a great conversation starter, a folder looks professional—a step in the right direction beyond one-line zingers, elevator pitches or thirty-two word summaries. If we stumble, trip on our words, or develop rubber lips, we still look like a player. Organization isn’t always a writer’s greatest gift. Receipts and napkins often carry our inspirations home. But failure in this can undo both preparation and passion. If our artistic, stream-lined folder is shoved in a bag among schedules, a pile of magazines, a semi-melted Hershey’s Kiss, a hairbrush, and receipts from the bookstore, our mind may feel like the chocolate is melting through it. A horror story of great proportion may ensue as we reach in and pull out our Arm and Hammer Essentials deodorant. While such a blunder might lead to a new friendship founded on mutual anti-aluminum beliefs, it’s more likely to make an editor flag down the time-keeper, eyes pleading for Calgon. No. We’re better off leaving anything extraneous in the car if we have an appointment. Though due respect and admiration, editors and agents seek what anyone does—something excellent to read, and maybe a new friendship or two. To help him or her feel welcome and appreciated, we might do some internet research before the appointment. If we know her company switched from Prairie Romance to Steampunk Murder Mysteries, we can leave And the Bluebells Ring in our bag and dust off It Goes Whir, Thud. If horror terrifies him, we shouldn’t pitch ours. If she just lost her dog, we might be sensitive to that and not tell our story about Fido gifting the new neighbors with our bloomers. We pitch, tell our story with proud passion, and then we’re done. Whether she wants us to send her something or not, we need to maintain an air of thankfulness. A “thank you for your time” is always appreciated. Beyond that, a no is not by any means the end of the story… unless we spin in angry circles and vanish in a puff of blue smoke. When we pitch, we tell our story with proud passion. As chairs are stacked and conference attendees stare into space, smiles stiff, brains overflowing with information, we might ask the editor sitting alone if it was a good conference for him. We could ask the agent if she has a place to worship on Sunday, or offer coffee or a cup of water. Grace. Love. A bit of kindness. It may even help her move past our blunders and ask, once again, to hear our story. Kathleen Freeman serves on the Board of Directors for the Northwest Christian Writers Association as the Critique Coordinator. She’s also a member of American Christian Fiction Writers (ACFW) and she’s been writing and critiquing for enough years to be told she’s been around the block a few times. Her work appears in Raising Small Souls, the NCWA Newsletter, Vista Journal for Holy Living, and Clubhouse Magazine. She was the 2012 winner of the Genesis contest in the YA category, 2013 semi-finalist in the Mystery category, and the 2013 3rd place winner of the Category 5 contest, Contemporary category. You can find her at www.findinghopeinhardtimes.com. Posted on June 12, 2013 by m.m. Lesley Ann McDaniel, published author and member of NCWA, reviewed the book written by NCWA members. The title of the book says it all. It really does offer a full spectrum of encouragement and practical advice needed for a writer, whether newbie or seasoned, to get the most from a conference. 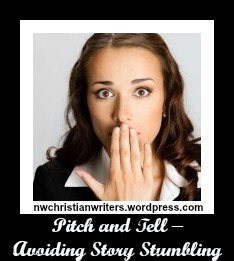 This collection of articles by various members of the Northwest Christian Writers Association is an invaluable guide. The rest of the book is divided into three sections for easy reference: before, during, and after a conference. It’s a quick, enjoyable read, and easy to navigate. My favorite take-aways are the reminders from bestselling author James L. Rubart and editor Marcus Yoars to put other people first; numerous cues from Melissa K. Norris, Robin Jones Gunn, Lydia E. Harris and others to let God lead you through prayer; and Marty Nystrom’s sage advice to trust God for the timing of each writing project. I also learned some great tips from Janalyn Voigt on preparing a conference binder, something I had never thought to do before. Lynnette Bonner and Erica Vetsch offer practical instruction for creating a book proposal and a one-sheet, both essential tools for the writer who hopes to pitch a project to an editor or agent. And speaking of pitching, Melissa K. Norris, Amy Letinsky, and Michelle Hollomon each offer helpful how-tos on that topic. This book is rich with so much more. I recommend it for everyone who is planning to attend a writers’ conference, whether Christian or secular, but also for writers who can’t attend a conference but intend to submit their work to agents and publishers. Disclosure of Material Connection: I received this book for free for the purpose of reviewing. I was not required to write a positive review, and have expressed my honest opinions. LESLEY ANN MCDANIEL is a lifelong lover of words, and theatre. While earning a degree in acting, she fell in love with theatrical costuming, and pursued that as a career while nurturing her passion for writing on the side. Through God’s guidance, she has shifted her focus to honing her skills as a writer of Women’s and Young Adult fiction. 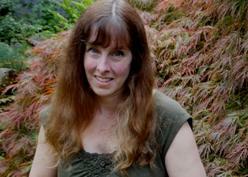 She is a member of the Northwest Christian Writers Association and of a wonderful critique group. A native Montanan and a Big Sky girl at heart, Lesley now resides in the Seattle area. Her books “Lights, Cowboy, Action”, “Big Sky Bachelor”, “Rocky Mountain Romance”, and “Saving Grace” are available at her website www.lesleyannmcdaniel.com or on Amazon http://amzn.to/1a2Rlnf. NCWA welcomes Karen Ball from The Steve Laube Agency! While I was at a writer’s retreat awhile back, I was struck, as I always am when in the company of writers, by the power of the right word used in the right way. On the first day of the conference, I had group meetings with the writers. This is where a group of writers come in, sit at a table together, and each takes a turn pitching his/her book to me to see if I would be interested in representing the author. I had six groups, each lasting a half hour, made up of anywhere from 5-7 people each. So folks had a total of 3-5 minutes to engage me in their project. The cool thing is, a good number of those who came had such a strong understanding of their project and of the market that they were able to hook me in the first few words. Now that’s doing your homework! For example, one woman told me right off the bat her book was romantic suspense, what the main story line was (in a sentence), and what the conflict and spiritual takeaway were. That took about 45 seconds of her four minutes, so from there I asked questions about the story and focus and she was able to relax and just talk. I ended up asking her to send me the proposal. Don’t know if we’ll pursue it–the writing is what tips the scales, of course. But I was impressed with her well chosen descriptions. And if I’m considering two manuscripts and all things are basically equal, I’ll always go with an author who is, first and foremost, teachable, and then able to communicate the heart and soul of her story quickly and effectively. *What’s the main theme (or themes) addressed in my story? *For fiction, what’s the nonfiction hook I could use to stir interest in media outlets (e.g. radio, where they generally don’t have a clue what to do with novelists)? This post first appeared June 13, 2012 on The Steve Laube Agency blog. Used by kind permission. Karen Ball has been blessed to use her love of words and story during nearly 30 years in publishing. Currently the owner/operator of Karen Ball Publishing Services, LLC, and a literary agent with the Steve Laube Agency, Karen built and led fiction lines for Tyndale, Multnomah, Zondervan, and B&H Publishing Group. She’s discovered and worked with some of the top novelists in publishing, including Francine Rivers, Karen Kingsbury, Brandilyn Collins, Angela Hunt, Ginny Yttrup, & Robin Jones Gunn. In addition, Karen is a best-selling, award-winning novelist and a popular speaker and teacher. She lives in Oregon with her husband, father, and three four-legged, furry kids. Visit Karen on her website or at The Steve Laube Agency.